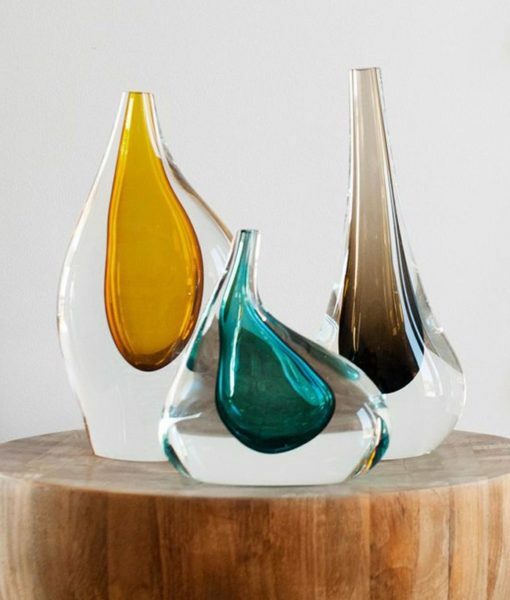 The SkLO droplet vessels are a collection of small- to medium-sized vessels, each unique in shape and color. The vessels are asymmetrical, each a mass of solid Czech glass around a complimentary shaped void of transparent color. Available only as shown. While the droplet vessels work individually, they are meant to be displayed in groups, and they are available as a set of 3 or a set of 7.